Veradigm, the EHR vendor's payer and life sciences division, will help with encrypted transfer of health data for the purposes of underwriting policies. ORLANDO – Veradigm, which was launched this past November as a rebrand of Allscripts' payer and life sciences division, announced a new partnership today at HIMSS19 to work with MIB, which provides data-driven risk management services for the life insurance industry. Through the agreement MIB's electronic health record will gain access to medical data via Veradigm’s eChart Courier service, helping its 400 U.S. life insurance members manage the underwriting process. Veradigm's eChart Courier helps with medical chart retrieval by automating the process, exchanging encrypted records electronically. MIB will leverage that technology to provide EHR data to life insurers, when authorized to do so by consumers applying for life insurance. Applying for life insurance often still requires telephone and fax communication to retrieve medical records. This new partnership will allow for a more efficient workflow, the companies, said, helping speed risk selection by carriers while giving consumers faster time-to-issue for their coverage. The Veradigm-MIB deal is just one of the many projects on tap with Allscripts as HIMSS19 kicks off in Orlando. And it squares with what Allscripts CEO Paul Black told Healthcare IT News earlier this year will be one of the defining features of 2019: consumers expecting and demanding better healthcare and technology experiences. "People are taking more ownership of their healthcare, and they expect user-friendly technologies to help them do so," said Black. "The solutions that deliver what consumers want are the ones that will be successful." "Both MIB and Veradigm share a similar commitment to improving efficiency and streamlining processes using high-speed, electronic clinical data," said Lee Oliphant, MIB's president and CEO, in a statement. "MIB EHR solves a vexing problem for our life insurance members how to more efficiently provide life insurance products to customers in today’s rapidly evolving online environment." "By working with companies like MIB, we help solve for inefficiencies and reduce bottlenecks for our clients and their customers," added Veradigm CEO Tom Langan of the new partnership. "We reduce the administrative burden placed on healthcare providers through automating manual processes that add cost and complexity to the healthcare system. We will continue to deliver on our promise to provide next-generation solutions that make a positive difference from the point-of-care to everyday life." 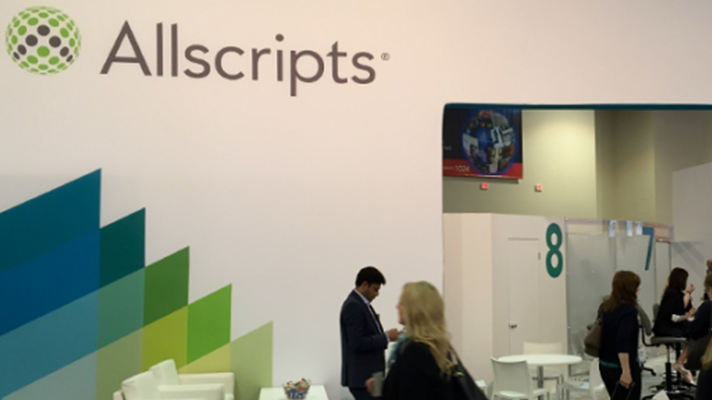 Veradigm can be found in Allscripts' Booth 3501 at HIMSS19.